This issue is for sale for $25.00. It is available at the library. To purchase online, please click below and add in the cost of shipping. We are not accepting submissions for the next issue at this time. The next issue will come out in 2-3 years, and as soon as the deadline is determined, we will post it. 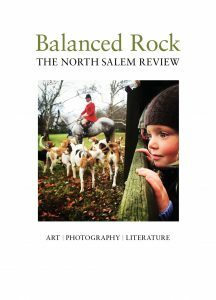 Balanced Rock: North Salem Review of Art, Photography, and Literature is a self-supporting literary and visual arts journal celebrating creativity and community. 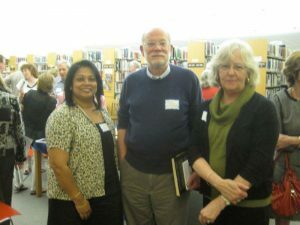 A project of the Ruth Keeler Memorial Library, Friends of the Ruth Keeler Memorial Library, the North Salem Writers’ Workshop, friends and neighbors, we publish the new work of emerging and established writers and artists. 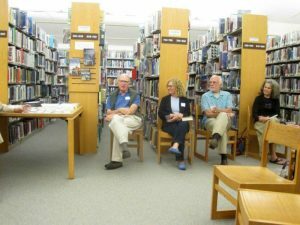 As a community endeavor, Balanced Rock: The North Salem Review of Art, Photography, and Literature is staffed entirely by volunteers from North Salem, New York. 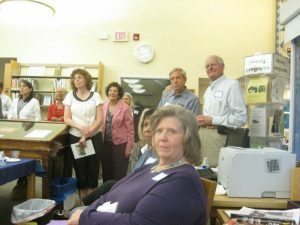 Pam Pooley, Managing Editor, is the facilitator of the North Salem Writers’ Workshop. She was an Emmy-Award winning public television producer and instructor at the Teachers College, Columbia University. Dr. Heather Ostman, Fiction Editor, is Professor of English at SUNY Westchester Community College, where she also serves as the Director of the Humanities Institute. 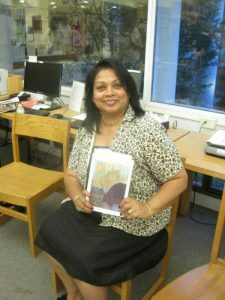 She is the author or editor of four books and has published numerous short stories and academic, peer-reviewed articles, particularly on nineteenth-century women’s literature. She is the President of the Kate Chopin International Society, and serves as an associate editor for the Watchung Review and as a member of the editorial board for the journal Teaching English at the Two-Year College. Marcia Rockwood, Non-Fiction Editor, has spent her career editing nonfiction for both books and magazines, She worked as Executive Editor at Reader’s Digest for many years where she won prizes for discovering stories, editing stories, and translating stories from print to film. She’s currently working with Literary Agent Linda Langton in NYC. 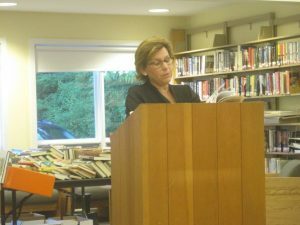 Pamela Hart, Poetry Editor,is writer in residence at the Katonah Museum of Art where she manages a visual literacy arts in education program. She was awarded a poetry fellowship from the National Endowment for the Arts in 2013.She was a poetry fellow at the SUNY Purchase College Writers Center in 2011. She is a mentor and poetry editor for the Afghan Women’s Writing Project.Toadlily Press published her chapbook,The End of the Body. Her work has been published in a variety of journals, including The Cortland Review, Lumina, The Heron Tree Review, 0-Dark-Thirty, and she was a recent finalist in the Auburn Witness Poetry Prize. Constance Sullivan, Visual Arts Editor, has produced widely-acclaimed books on art and photography for major publishers including, “Landscapes of the Civil War” (Alfred A. Knopf), “Women Photographers” (Harry N. Abrams), “Photographers at Work” (Smithsonian Institution Press). Julie Just, Copy Editor, was a longtime editor at The New York Times and The New York Review of Books, among other publications. She has published poetry in The Virginia Quarterly Review, and is currently working on a nonfiction book for children about an 18th-century African American scientist. Roe Intrieri, Layout Designer, is an award-winning creative director. She has led creative teams for 20 publications. Her career in magazine design began more than 30 years ago on European Travel & Life, and she served on the launch team of Men’s Journal. Our Advisory Board members are: Helen Anthony, Carolyn Reznick, and Cathleen Sulli. 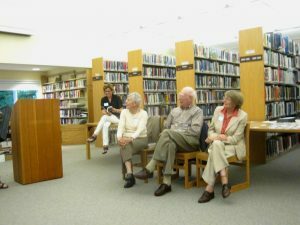 Balanced Rock is a publication of the Ruth Keeler Memorial Library with generous support provided by the Friends of the Ruth Keeler Memorial Library and individual donations. Join the North Salem Review on Facebook. 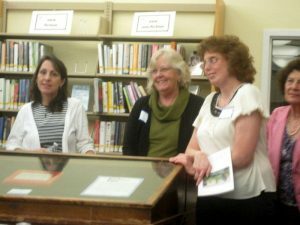 Pictures from a reception held for the authors and artists whose work was selected for a previous issue. Pam Pooley, Editor-in-Chief introducing the authors and artists.